We find ourselves in a time of political, economic, and social anxiety. Whether real or perceived, there’s a palpable uneasiness—or downright hostility—in our public rhetoric and political debate. No matter where you fall on the political spectrum, one thing is clear: The unraveling of our public discourse is blocking our ability to tackle serious problems—from the environment to corruption to racial tensions to poverty, and, perhaps most importantly, to education. Instead of having real, candid, open conversations, political debate is all too often reduced to shaming, intimidation, and even violence. Given the hostility of public discourse, it should come as no surprise that America’s K–12 students are also facing higher levels of hostility, anxiety, and stress in school. In May, UCLA’s Institute for Democracy, Education, and Access surveyed teachers and asked them to reflect on changes they witnessed in their school climate during the first four months of the Trump presidency. In the report released last month, the findings paint a troubling picture of the state of discourse in America’s classrooms. As schools across the country work to engage students and encourage a civil dialogue in their classrooms, here’s three important takeaways from the UCLA report. More than half of the surveyed teachers said more students were experiencing “high levels of stress and anxiety” than in previous years. Forty-four percent of participating teachers said stress was impacting students’ focus or causing them to miss class. Ongoing debates and policy announcements seem to have exacerbated student anxiety, especially among children of immigrants. Fifty-eight percent of teachers reported that the proposed deportation policies for undocumented immigrants were a major concern for students. For more on promoting open, safe dialogue in schools, sign up for the TrustED newsletter. One-fifth of surveyed teachers reported increased incivility in their classrooms and on school campuses. Nearly one-third of participating teachers reported that more students were derogatory about other groups of people during class discussions. This hostility is, in part, fueled by misinformation from unconfirmed sources. More than 40 percent of surveyed teachers said that students were more likely than in previous years to “introduce unsubstantiated claims from unreliable sources.” At least one survey respondent blamed the spread of fake news via social media for the trend. While some participating teachers reported that their school administrators worked to create tolerant and respectful school climates, many others said their school leaders do not do enough. Less than one-third of participants said their school’s leaders have provided support or guidance to combat hostility in classrooms. And, while 40 percent of surveyed teachers said administrators have made public statements about the importance of civil discourse, most said administrators need to do more. 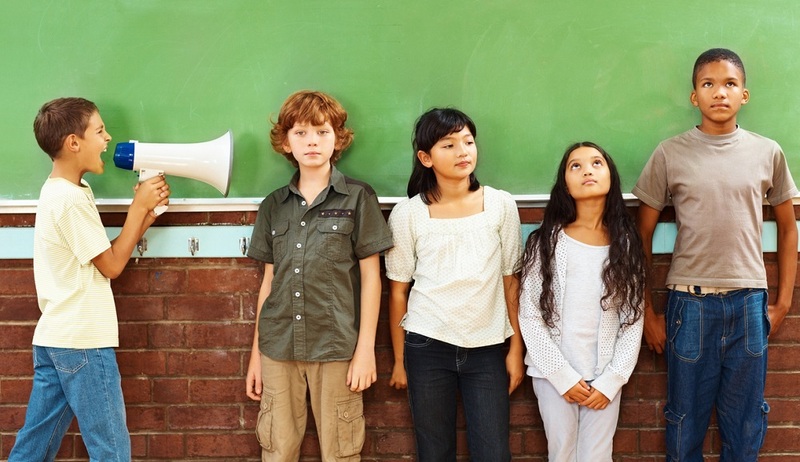 Have you seen an uptick in hostility or incivility in your classrooms? How are you working to promote civility and open discourse in your school or district? Tell us in the comments. Be the first to comment on "New report: K–12 schools are becoming more hostile, less civil"